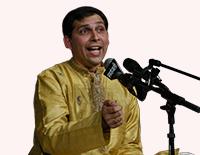 A gifted child prodigy with a family lineage in classical music, Anand Bhate has been a disciple of the legendary doyen of the Kirana Gharana, Pandit Bhimsen Joshi and Pandit Yashwantrao Marathe of the Khayal Gayaki. 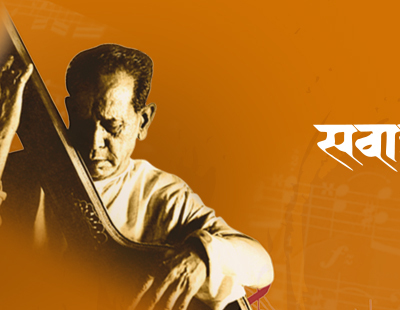 At tender age he presented Hindustani Classical Music, Marathi natyasangeet and devotional compositions. Connoisseurs were spellbound by Anand’s luminous rendering of Balgandharva’s gayaki and affectionately conferred on him the ‘title’ Anand Gandharva. A brilliant IT professional at Zensar Technologies, Anand pursues his passion, music with great fervor and commitment. He has given performances on many prestigious platforms in India and abroad.